Hold your pitchforks for a second, I'm going somewhere with this. The cable TV industry is clearly hurting and it's executive decision makers can't see more than 3 feet in front of them when it comes to fixing things. Maybe it's not all corporate greed though? Many television broadcast stations demand a king's ransom of money from cable companies to cover "basic operating costs". These costs are usually the fees of carrying high profile television shows (everything from premier broadcasts of survivor to reruns of Seinfeld). Those shows cost up to millions to produce because paying for actors, writers, directors, and art interns is not cheap. all of that staffing costs a lot because other television projects are making competing bids so their show can be paid big money by TV stations who can get big money from advertisers so they can pay for the shows they produce to get more money from advertisers and yadda yadda yadda. Also don't forget that everyone listed above has everyone else locked into multi-year contracts that are not even remotely in sync. 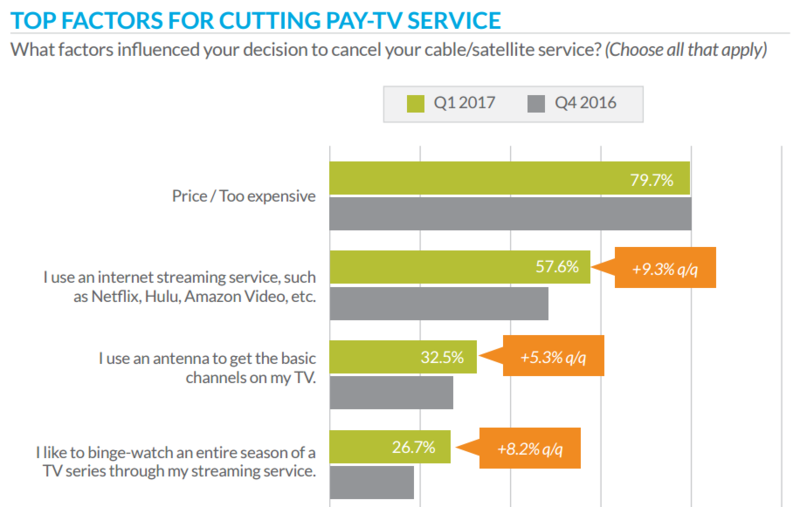 Yes, cable prices are too high for way too little service. It's not like they can flip a switch and provide a proper service-to-price ratio. Even if all these CEOs, CFOs, COOs, and SOBs take paycuts down to minimum wage it probably wouldn't even dent current licensing fees. We're just going to have to wait for Cable Tv to die of natural causes and be replaced by more useful services.